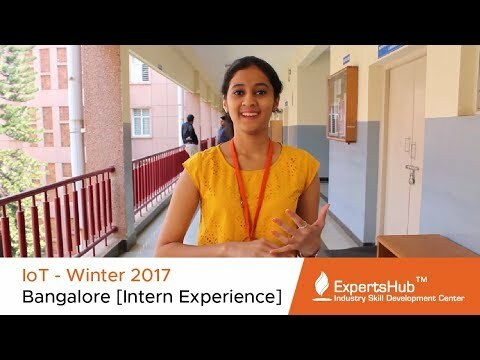 India's Biggest Internet of Things Internship Ever..! Join Us ! Today to Improve your technical skills to get Rewarding International career..! Join - Interact - Learn - Practice - Create Connected World..! REGISTRATIONS FOR IoT SUMMER 2019 OPEN NOW! Hurry UP! Fill the form to grab your seat. 8 days 70 Hours (50 hrs class + 20 hrs project) certified India’s first Exclusive IoT Internship program. Internship designed and delivered by Industrial Subject Matter Experts (SME’s) & distinguished Technologist. Hands-On Lab experience with various IoT applications, Micro controller programming, Rasperry Pi, various sensors and developing IoT Apps. Work on real time connected devices problems as a project under the guidance of experienced technologist and Industry experts. Best IoT based technology solution presented by participants will get incubation support and win exciting prizes. Courses are taught by Industries best researchers and subject matter experts worked with leading research organizations. Get industry recognized International Internship certification to improve your career prospectus. Get Internationally Valid ISO 9001:2015 Quality certification from UKAS, UK & URS India. Group Activities and Contests to showcase your talents and chance to win prizes & accolades. Special career development and entrepreneurial sessions. B.E/B.Tech Students of Computer science, Information Technology, Electrical, Electronics, Instrumentation, Telecommunication engineering branches can participate. Rs.5000/per participant it Includes Taxes, Registration kit, Hands-On Lab, Certification Cost, Human Resources fee. (group discounts are also available). Rs.7000/- per Participant It Includes Offline and Online Training Program, Hands-On Lab, Certification, Platform Charges, Mentored Industry Project, Experts Support, Assignments and Test series , Human Resources Fee, Registration Kit and Applicable Taxes. (group discounts are also available). Only limited seats per each centre available and the seats are filled on "FIRST COME & FIRST SERVE BASIS" If the seats are completed before the deadline we will close the registrations, so to make sure you grab a seat by completing the registration process at the earliest. Rs.5000/- per participant it Includes Taxes, Registration kit, Hands-On Lab, Certification Cost, Human Resources fee. (group discounts are also available). Register by selecting your internship Centre (Online Registration Mandatory). You are requested to pay the course fee using any one of the following options. 3 Participants: Fee per participant is Rs.4750 i.e. (3*4750=Rs.14,250) is payable by the Group. 5 Participants: Fee per participant is Rs.4500 i.e. (5*4500=Rs.22,500) is payable by the Group. 8 Participants: Fee per participant is Rs.4250 i.e. (8*4250=Rs.34,000) is payable by the Group. 12 Participants: Fee per participant is Rs.4000 i.e. (12*4000=Rs.48,000) is payable by the Group. ▪ 3 Participants: Fee per participant is Rs.6500 i.e. (3*6500=Rs.19500) is payable by the Group. ▪ 5 Participants: Fee per participant is Rs.6000 i.e. (5*6000=Rs.30,000) is payable by the Group. ▪ 8 Participants: Fee per participant is Rs.5500 i.e. (8*5500=Rs.44,000) is payable by the Group. ▪ 12 Participants: Fee per participant is Rs.5000 i.e. (12*5000=Rs.60,000) is payable by the Group. Early bird group discount available only till 24th April, 2019. Group can use any one of the above mentioned payment methods to confirm your seats after completing the payment procedure group representative need to send a mail consists of proof of fee transaction along with all the group member details in an excel sheet mention Name, College Name, Mail id, Mob no. of each member in the team. Content: 1. Bank Name, 2. Details of the group participants in an Excel Sheet That will contain Each participant - Name, College Name, Mail Id, Contact Number. Attachment: Screen shot of the transaction or a Scan copy of Counterfoil/Receipt and Excel Sheet with Team member Details. 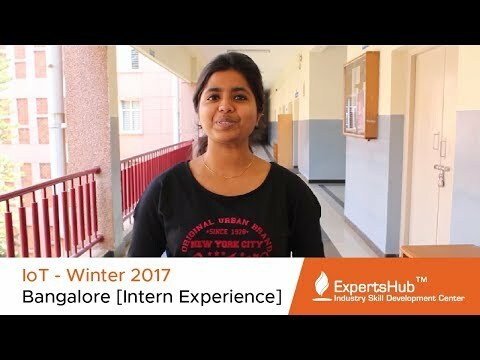 You will receive an acknowledgement mail from Expertshub confirming the payment subsequently you / your team will receive Internship Passes. Note: Mail without the above details will be rejected straightaway. Step 2: Kindly fill the deposit/NEFT challan available in the bank for the above mentioned account and pay the cash in the counter and you will receive an acknowledgement counterfoil from the bank. Note: Kindly keep the original counterfoil with you if require you should be in a position to show at the registration desk on first day. Step2: Add above given bank account as a Beneficiary to you internet banking account. Step 3: Once bank approved the added beneficiary account transfer the fee to the account added. Step 1: Download any of the commonly available UPI apps Like BHIM, Phonepe, Tez or your bank UPI apps from google play store if you don’t have one already. Step 2: Sync your account details with UPI and click Send Money option and select IFSC money transfer option and enter our account details and complete the transfer. Step 3: Send the Transaction confirmation screenshot it should contain Transaction ID, Date, Confirmation and Our bank account details and send it along with your details to info@expertshub.org. Step 1: You can also hand over the cash to coordinator i.e. 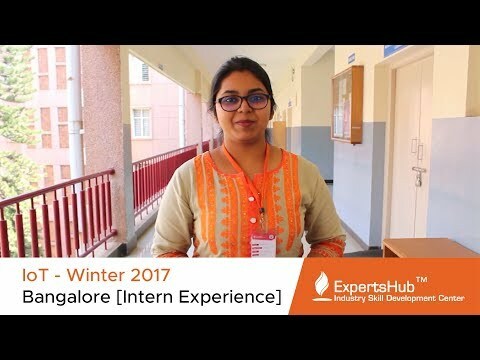 either to Expertshub representative or to host college faculty/student coordinators (It is available only in Bangalore) if you are the participant from the host city or host college or nearest college and collect the receipt from Expertshub/college officials. Rs.200 per day for Stay only. 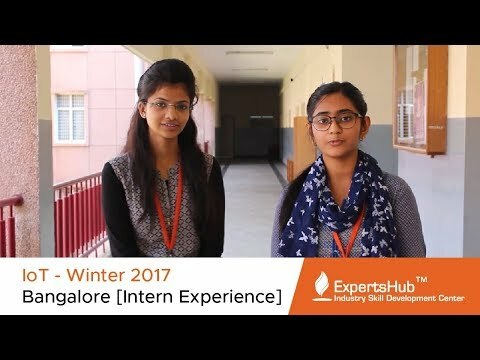 No matter how much a student knows , he is going to learn more than that here at Expertshub. I attended a 8day internship conducted by them and the skills they taught us were just amazing . Apart from learning whats on the schedule , a student will get exposed to a unique atmosphere making him learn to interact and share with everyone in a team. I attended IOT session, Pune organised by Expertshub.It was really enrinching and the experts were really kind and amiable. We spent eight days but didnt know how quickly the time flew. Apart from the internship, the accomdation provided was lovely...the cool atmosphere, the clouds kissing the mountains, the lush green trees, the sliver drops of rain from the blue sky and ofcourse all the strangers I met became my friends in no time. I wished the time to stay still so that i could stay there...! All of these would be the most cherising memories that has got itched in my heart...😇 After getting trained under Expertshub, I can forsee that I'll be joining you all very soon as an expert..! Once again thank you for the wonderful internship. © 2010 - 2019 ExpertsHub.org. All Rights Reserved.